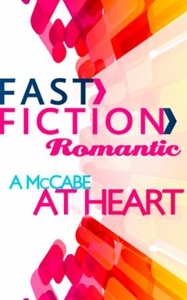 Fast Fiction Romantic - short stories with a Happy Ever After Robin McCabe-Taylor hopes a puppy will help her bond with Molly, the young girl she wants to adopt. But when ex-flame Sam Navarro comes to the rescue with golden retrievers, Robin begins to dream of a family not just with Molly, but with Sam, too. But is theirs the kind of family Sam wants?